Your child has been given their very own log in details for a very useful and fun website that we use to encourage more reading and understanding of books. Their teacher will continue to allocate many books for them to read and answer questions. They will even be able to see who has been reading lots of books and answering the questions correctly. They can even improve their learning in Maths and Grammar with lots of games allocated for them to play. The children can earn gold coins for their learning and hard work! These can then be spent to improve their virtual world. The website is www.activelearnprimary.co.uk and it works on a PC, laptop, tablet and most mobile phones so it is easily accessible even if you are out and about. Your child has been given their username, password and the school code to log in with. Please encourage them to read and help them to answer the questions that pop up throughout the online books. 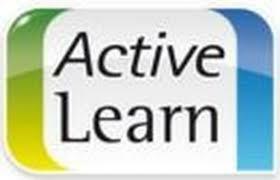 If you have any questions or issues regarding active learn please speak to Miss Gregory or Mr Evans.